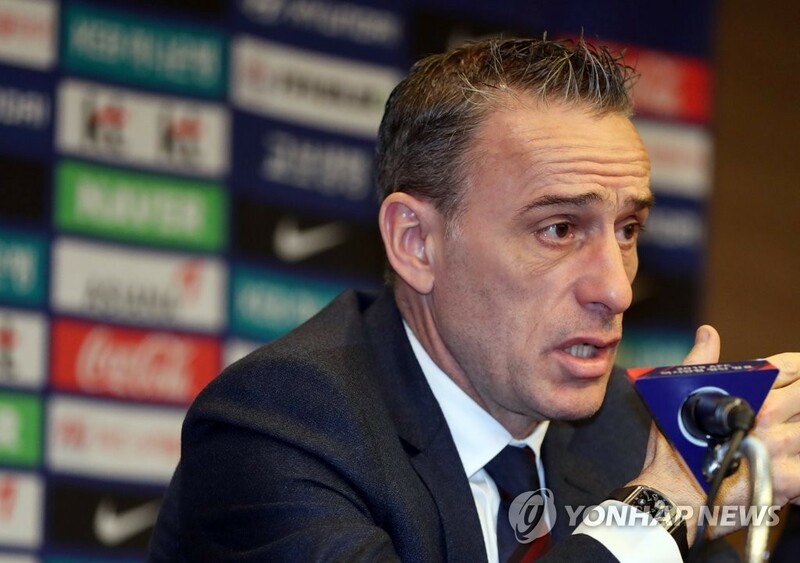 ULSAN, Dec. 20 (Yonhap) — South Korean football coach Paulo Bento said Thursday he doesn’t think his side are the top favorites to win the upcoming continental tournament, despite their impressive performances in recent months. Bento announced his 23-man roster for the 2019 Asian Football Confederation (AFC) Asian Cup in the United Arab Emirates (UAE) to be held between Jan. 5 and Feb. 1. South Korea are in Group C with China, Kyrgyzstan and the Philippines. South Korea has remained undefeated since Bento took over the helm in August. The Portuguese coach has so far collected three wins and three draws in friendly matches that include high-class opponents like Chile and Uruguay. Despite rising expectations for the Asian Cup, Bento said his team should not get too hyped up. The 2019 Asian Cup will be the first major tournament with South Korea for Bento, whose contract runs until the end of 2022 FIFA World Cup, should the national team qualify for football’s showpiece event. 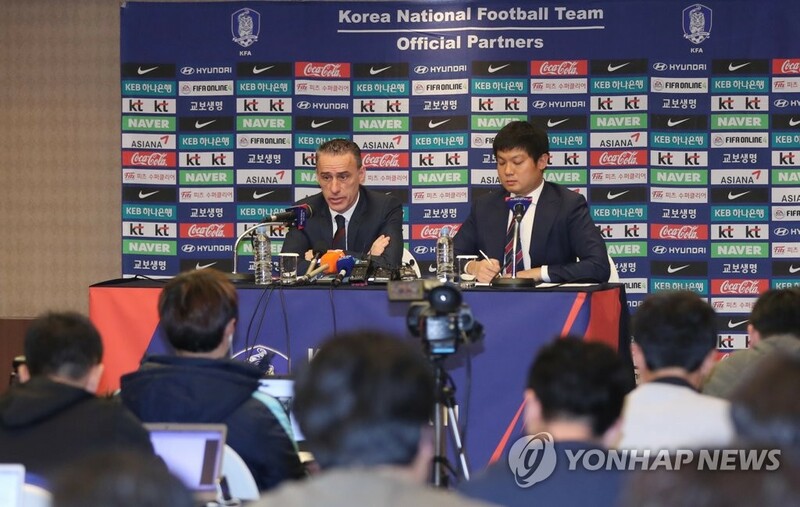 Bento, former head coach of the Portuguese national team, said he thinks South Korea are well prepared for the tournament and will try to stay fit until their opening match. Bento’s team is scheduled to depart for the UAE on Saturday. For his 23-man squad, Bento decided to stick with members he tested in recent friendly matches. The only exception was left back Kim Jin-su, who had never played a competitive match under Bento. Bento emphasized that he decided to pick players who best fit the team’s style of play and understand his tactics. Therefore, players like Suk Hyun-jun and Moon Seon-min were left out even though they played well in recent friendly matches. Suk, a striker playing for French side Stade de Reims, failed to make the squad as FC Augsburg’s Ji Dong-won apparently got the nod ahead of him. Bento has been known for his meticulous coaching style, but during the Asian Cup, the 49-year-old said he will try to give freedom to the players off the pitch as much as he can.